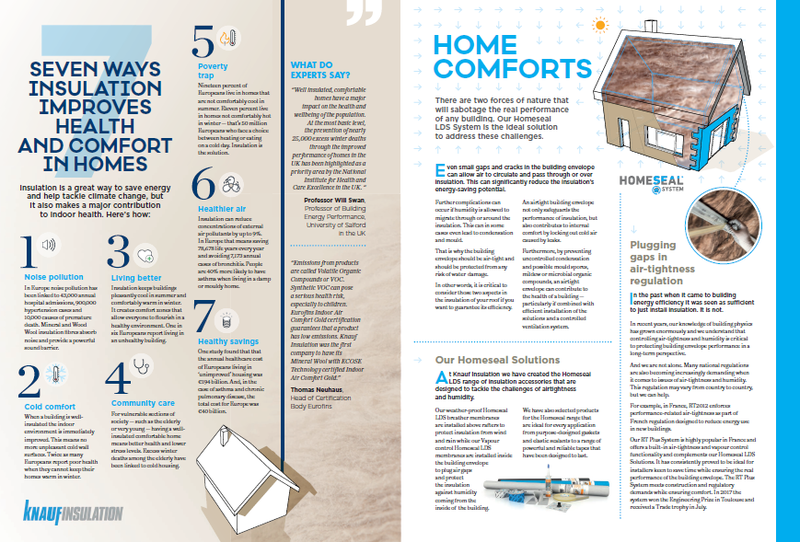 Knauf Insulation GmbH was awarded the first Indoor Air Comfort Gold Standard certificate in 2010 from Eurofins Scientific for its Mineral Wool products with ECOSE Technology, completed as part of the Eurofins Indoor Air Comfort Gold standard testing and certification programme. Mineral Wools do not contain ozone-depleting or global warming substances, nor are these used in their manufacture. 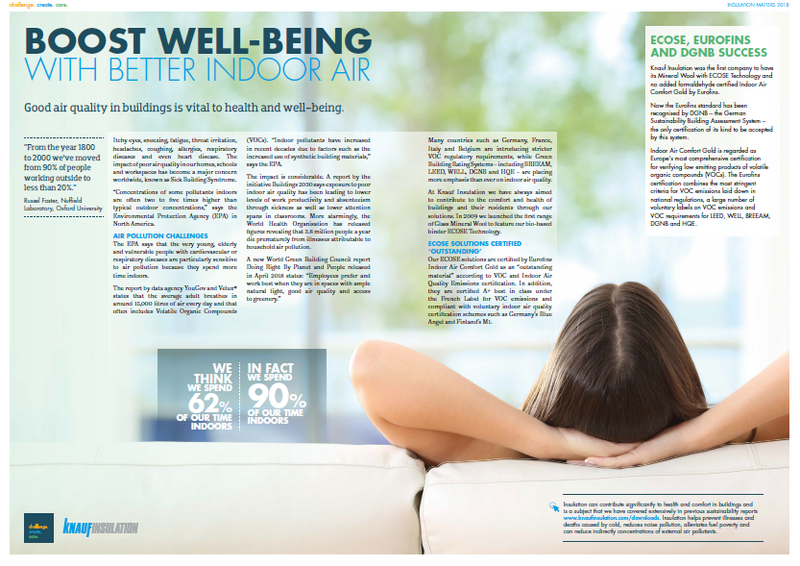 Releases of substances from Mineral Wool Insulation products are considered insignificant when installed in building applications and therefore do not contribute to reduce the quality of indoor air. Most Mineral Wools are, however, bonded with a resin that will decompose if heated to above 200°C. This will result in the release of the usual products of organic decomposition, including carbon monoxide and carbon dioxide, plus some trace gases in very minute quantities which produce a characteristic odour. During the first heating of appliances and vessels beyond 200°C, it is advisable to ensure adequate ventilation. The results of intensive studies into human exposure, both in manufacturing and in the user industry, show no link between exposure to Mineral Wool fibre and an increased risk of respiratory disease (e.g. bronchitis). There is no medical evidence that Mineral Wools cause asthma. Although Mineral Wool does not cause respiratory disease, it is generally accepted that any form of dust can exacerbate an existing condition.